So this was the plan. 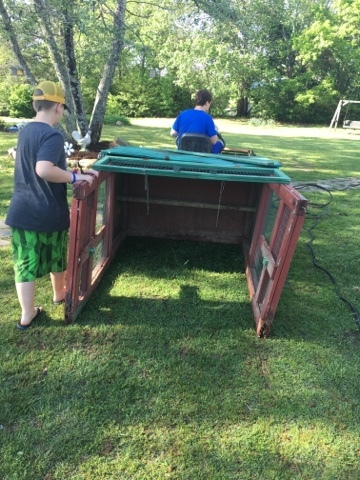 We got this portable chicken coop from some of the family that wasn't using it anymore. It's in pretty dire need of some repairs, but for what we had planned, it would work well. We hooked it to the lawn mower and pulled it into the place that we wanted it. 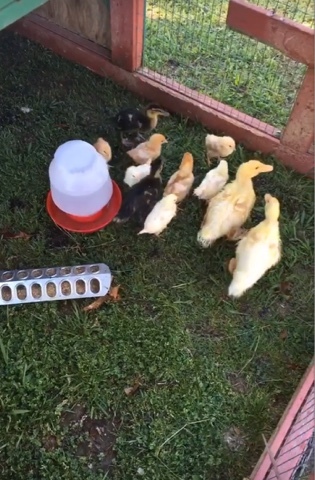 You see our chicks and ducks are getting big and eager for more space. So we thought that on this pretty day, it would be nice for them to be outside. 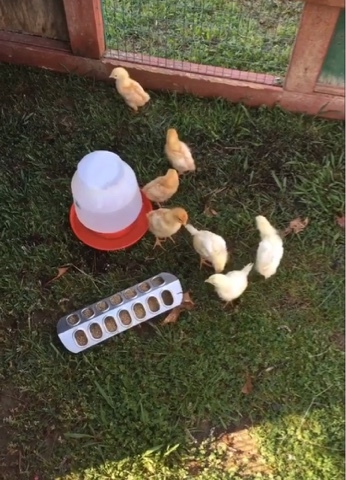 We put them in the coop on fresh grass and they started doing what chickens do immediately! Scratching, pecking, and peeping... they don't cluck just yet. 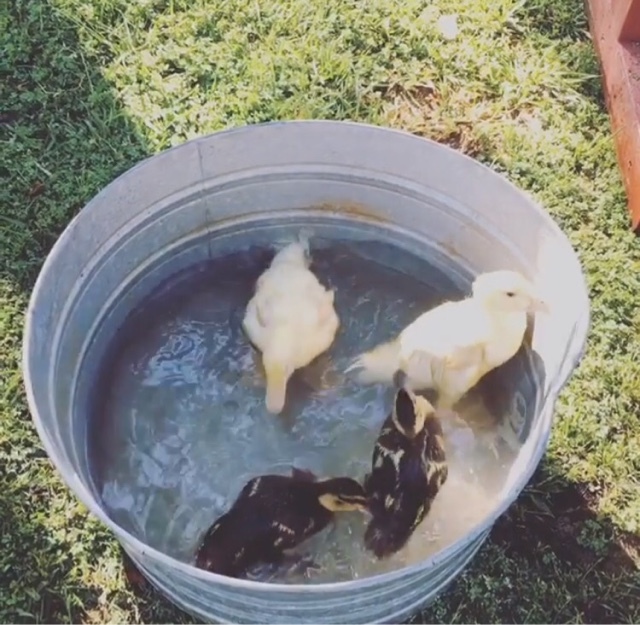 We gave the ducks a quick bath in a wash tub just to let them be ducks for a while. 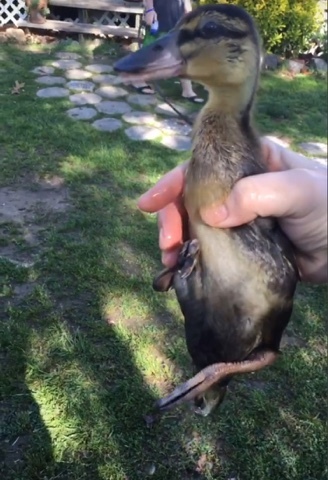 They LOVE being in the water! 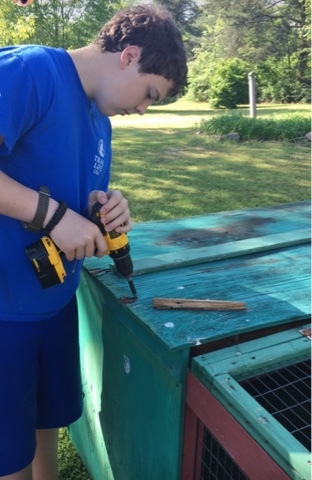 Eli repaired a few of the loose spots on the coop. These guys got to spend ALL day outside! By the evening we saw that we had a good chance of rain in the forecast and with these being still quite small we knew we couldn't keep them outside. So they came back inside. 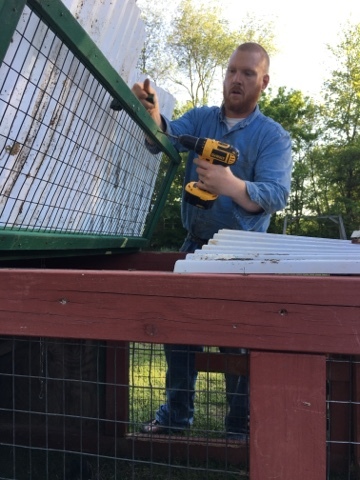 When Shannon got home, he helped Eli attach some plastic on the top of the opening of the coop... because yesterday afternoon Eli brought home a few new additions. 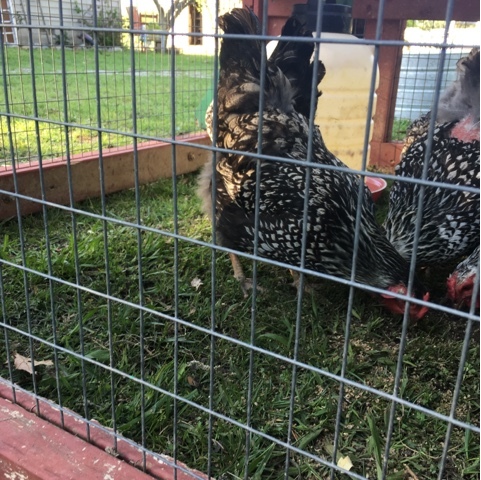 5 Silver Laced Wyandottes. 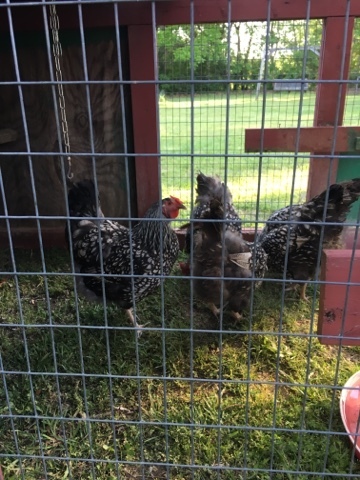 And because we don't have the big chicken pasture ready and because we saw a massive coyote in the back yesterday, we decided to keep the new ladies in the portable coop. Elijah is pursuing a side job in farming. He is hoping to sell his eggs and tomatoes and some other vegetables and fruit this summer. (All his idea and I am tickled pink). He said to me, "Mom... we might be getting our "Heritage Acres Homestead" back after all."